From White Belt To ​Black Belt And Beyond! A full white to black belt course covering the traditional art of Shotokan Karate, just as it was taught by the founder, Gichin Funakoshi. As a Shotokan student, you will learn stances, hand strikes, foot strikes, blocking, katas, and kumite. Sensei Jon Hodge will be your grading instructor, giving your feedback and guiding critiques through your rank exams. This is a self-paced program, which means there are no “forced waits” in between belt tests. Of course, proper training, time, and exertion is necessary to fully prepare yourself for the next rank. Ranks exams can be taken via our video testing process, in which you will receive full feedback and instructor support. The black belt exam can be taken locally at one of our training centers, or through a comprehensive video and written format. 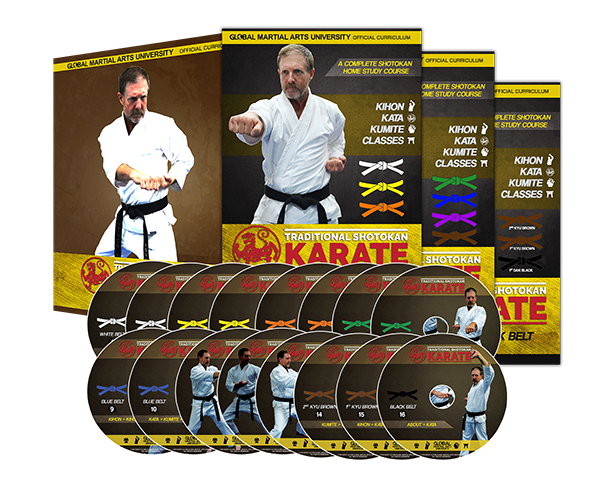 All curriculum and rank requirements from White to Black Belt – White, Yellow, Orange, Green, Blue, Purple, 3rd Kyu Brown, 2nd Kyu Brown, 1st Kyu Brown, and Black Belt. All traditional requirements are well instructed, with multiple angles, and an easy to use set of menus and indexes. Over 100 Techniques – At each belt level, you will learn the stances (tachikata), hand (zuki), blocking (uke), and kicking (geri) techniques. Kumite/Self Defense – Progress from basic to black belt level one step self defense; to build up reactions and understand sparring dynamics. Includes a set of realistic self defense scenarios. 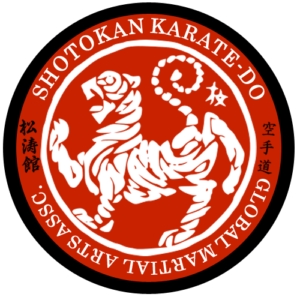 15 Katas – The backbone of Shotokan. Learn each kata with detailed instruction, follow-along, and special angles at your speed. Protocol – Regarding execution of kumite, katas, stances, and other unique factets of shotokan karate. Complete Shotokan Karate follows the tradition of ranking with colored belts to display a student’s progress. Rank is used in karate to indicate experience, expertise, and to a lesser degree, seniority. Like most Shotokan schools, we use the kyū / dan system with a few modified belt colors, due to our unique Korean influence within our lineage. Traditionally kyu belts are denoted with colors that become darker as a student approaches shodan (1st dan). Our students do not purely train for belts and certificates, but these are useful as markers of progress, and create a physical and tangible goal to work after. The achievement of black belt (shodan/1st dan) is not so much about an ego-boost or displaying supremacy, but a personal memento to years of hard work, self-improvement, and meaningful wisdom gained. What is the style background? From Okinawa, a wonderful and mysterious martial art has passed down to us from the past. It is often said that one who masters the techniques can defend himself readily without weapons and can perform remarkable feats of power and skill. The essence of the martial art style taught by Master Hodge has defensive abilities and goes beyond mere physical defensive feats into the realm of mastery of mind, body and spirit. Practicing Shotokan Karate Do with intensity and focus over time creates a powerful warrior spirit. Using this spirit to serve others with, in and through peace and cooperation will create balance and harmony within the student. What is the instructor lineage tree? 1. 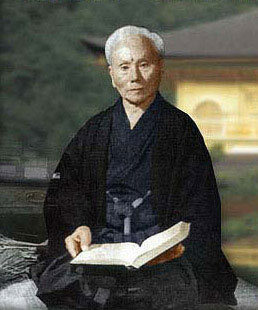 Gichin Funakoshi, established Shotokan Karate Do in 1939. Master Funakoshi studied from about eleven years old under Azato Anko and Itosu Anko. He practiced diligently and in 1912 became the president of the Okinawan Shobukai. In May 1922, he relocated to Tokyo and became a professional teacher of karate-do. He devoted his entire life to the development of karate-do. He lived out his eighty-eight years of life and left this world on April 26, 1957. 2. Won Kuk Lee, In 1926 Won Kuk Lee travelled to Tokyo, where he attended high school and later attended the Central University of Tokyo (Chuo University) specializing in Law. During his school years, he started training in the martial arts currently known as Karate-Do Shotokan style, under the tutelage of Gichin Funakoshi and his son, Gigō Funakoshi, who was the instructor in charge of the karate club of the Central University of Tokyo. It was there that Won Kuk became one of the first students of karate in Japan, obtaining the highest rank for a person who was not a Japanese national. After his graduation in Chuo University, he traveled Japan, visiting Okinawa and many other cities in China, including centers where Chuan Fa (kung-fu) was taught. 3. Nam Tae Hi, started training in 1946 and received his first degree under Master Won Kuk Lee. After receiving his first degree in Shotokan Karate Do went on to create Oh Do Kwan with Master H.H. Choi. 4. Grand Master Jhoon Goo Rhee – introduced his mixture of Shotokan and Tae Kown Do martial arts to the United States of America since arriving in the 1950s. 5. Allen Steen – was the first american to receive a first degree black belt in 1962 from Jhoon Rhee. Steen also recognized that his first degree was Shotokan Karate Do and subsequent black belt degrees were Tae Kwon Do oriented. In Dallas, Texas he created his Dojo that was American Karate and Tae Kwon Do. 6. Mickey Fisher – Received his black belt from Allen Steen in the mid 1960’s and was an instructor with Allen Steen at American Karate and Tae Kwon Do. 7. P. D. Hale – Received his black belt from Mickey Fisher in late 1960’s in American Karate and Tae Kwon Do. In the 1970’s Master Hale studied under Jae Won Park of Korea and was awarded another certification under Song Moo Kwan. Currently Mr. Hale is a Grand Master with the rank of 10th degree black belt. 8. Rick Williams – Received his black belt from Grand Master P. D. Hale and created Kaufman Karate in the early 1970’s. Currently Master Williams 9th degree black belt owns and operates Crandall Family Martial Arts in Crandall, Texas and he and his wife are managing the Kaufman County Children’s shelter in Kaufman Texas. 9. 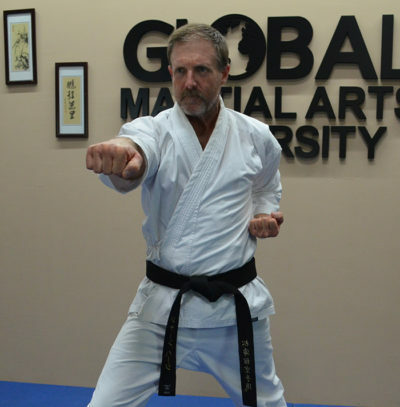 Jon Hodge – Started training in the early 1990’s under Rick Williams and was subsequently promoted to black belt and became an instructor for Kaufman Karate through 2003. In 2003 Master Hodge opened a school of his own in Crandall and later Seagoville , Texas where he and his son operated the schools until 2012. Currently Master Hodge, a 6th degree black belt is a full time instructor of the Global Martial Arts University, and runs a small dojo in Central Texas. Over the years Master Hodge has studied many different forms of martial arts and is also a Master Chi Kung and Tai Chi instructor. Is your course aligned with a particular organization or association? Yes, all rank awarded is recognized and accredited through the Global Martial Arts Association, the Association of Martial Artists World Wide, as well as various local and national training centers. If you are looking to receive a certification or ranking through a specific group – then you must contact them directly. If you are purely interested in mastering the art itself, improving yourself, and earning accredited rank as you progress – then our course will be a good fit. Is a partner required for training and ranking? Although it is not a complete necessity, it can be very beneficial to have a training partner. The techniques can be practiced solo (preferably with a mirror). In the rank exam video, the kumite can be demonstrated solo or with a partner. If a partner is not available for self defense and one step demonstrations, a hanging bag or realistic dummy can be useful. You will need a partner in the kumite section of the brown belt – black belt rank exams, this can be a friend, training partner, or family member. But, a partner is not necessary for the majority of your training. Will my certificate state that it was earned “online” or through “home study”? No. Certificates issued are the same as those awarded to physical training students. This is because we have the same syllabus, testing requirements, and student standards in our home study course. Since you are not physically attending classes, you will need to put in extra work and have a much higher level of self-discipline in order to advance. What if I have previous martial arts rank and experience? Great! You are an even better candidate for studying at home, since you have trained in the past. However, we do not offer rank transfers or reduce your training requirements. We have found it to be most beneficial for students to begin at the first level. Is there a minimum wait between rank exams? What is the average time between each exam? 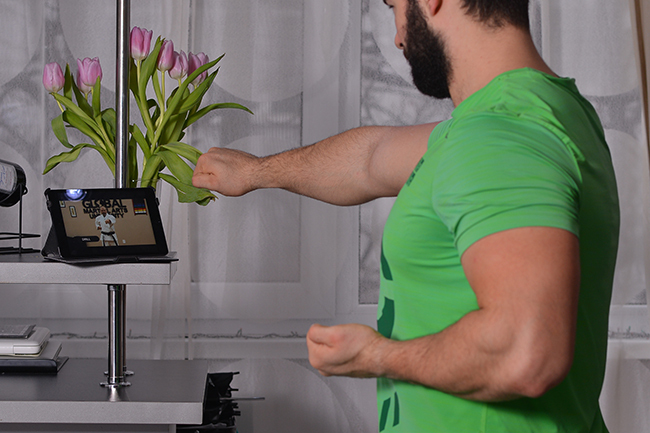 It allows us to keep tabs on your progress, practice schedule, and training time. As your instructors, we are more in the loop, just as we would be if you attended physical classes with us. The minimum training hours are designed so that you get enough repetitions; create real muscle memory, and instinctual movement. It is not enough to just “know how to do a technique” or “know the pattern of a kata” – but to execute these motions in a complete state of being and presence. Sufficient, documented practice will get you there. We want to maintain high standards of excellence and expectations, so that you training, progress, and ranking is up to par to a shotokan student from a physical dojo. Time between rank exams and time to reach black belt vary student-by-student. It depends on how much time you dedicate to your karate training each week and your training intensity. If you train more often, you can clearly advance at a more rapid pace. Can my partner (or family members) also take a rank exam and become certified? Yes! If you have a family member or friend who wants to enroll, they will need their own student account. Each and every student will receive instructor support and individualized feedback through their own respective training path, so we must have a separate account and payment plan for them. Is there a cost for testing? What does the rank exam fee include? Yes. Rank exams are $60 each. First of all, the fee covers the time and energy that your instructor takes out working with you and grading your exam. Your instructor will take out a good chunk of time to study your exam, grade it, make detailed notes, and work back and forth with you in communication. The fee also covers the actual certificate of rank, and the mailing of this certificate to your address. Your instructor will also film a personalized feedback video for you going over corrections, tips, and guidance to improve. Can you earn past 1st dan black belt? Yes! The Global Martial Arts University Shotokan Karate membership includes access to 2nd Dan Black Belt (Nidan), and in the near future, we will add 3rd Dan (Sandan) black belt level. How can I become a certified instructor and run my own Karate classes? Upon earning a black belt, you can take our Instructor Certification Course. Now that you understand the mechanics and concepts of Shotokan Karate, it is time to learn how to actually teach this to a student. Our Instructor Course covers: cycle of instruction, student learning framework, class structure, how to plan/organize classes, working with children of various ages, teaching adults/seniors, kata instruction, disguising repetition, drills, black belt skills, nutrition, flexibility, testing students, and basic business/management skills in operating your own facility. This course is currently in the works and will be available later this year. By the time you earn your black belt, it will be available as an option to become certified. By earning an instructor certification through our association, you will be able to rank students, and have the prestige and support of our team behind you. Read Sensei Jon’s article “ Can I Become A Certified Instructor and Open A Dojo through Complete Shotokan Karate? ” We also offer in-person Instructor Certifications setup as a one-on-one event or in a group event. Jon Hodge currently holds the rank of 6th dan black belt in shotokan karate. He has taught martial arts for nearly 20 years. Over the years Master Hodge has studied many different forms of martial arts and is also a Master Chi Kung and Tai Chi instructor. Master Hodge is well known as a teacher of self defense, self discipline, and most importantly to him – self improvement. The great thing about our home study courses is that, not only will you be learning and progressing with a structured curriculum, but you can also earn real rank and credentials! We currently have hundreds or martial artists around the world using our courses. Here are some examples of students who train with our course. Martial Arts instructors and school owners. (Wanting to learn a new art, and even become a Certified Instructor in one of our programs, to have something new and exciting to teach their students). Anyone who wants to “feel like a white belt again.” (Whether you have earned several black belts, or just have aspirations to get there, our courses give you the change to start a new journey, and reach a new goal).